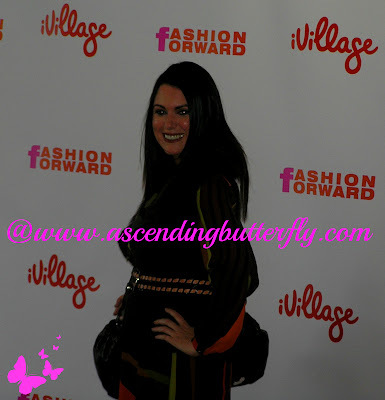 Ascending Butterfly: Highlights from the 2012 Fashion Forward Conference! 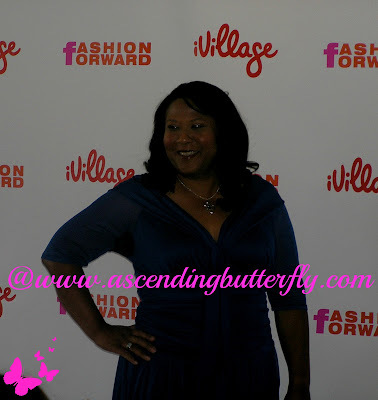 Highlights from the 2012 Fashion Forward Conference! After having spent the bulk of this year in the hospital, it took awhile for me to ramp up again, but one of the things that has greatly helped me get back to up to speed professionally are the Industy Conferences that I have been able to attend. 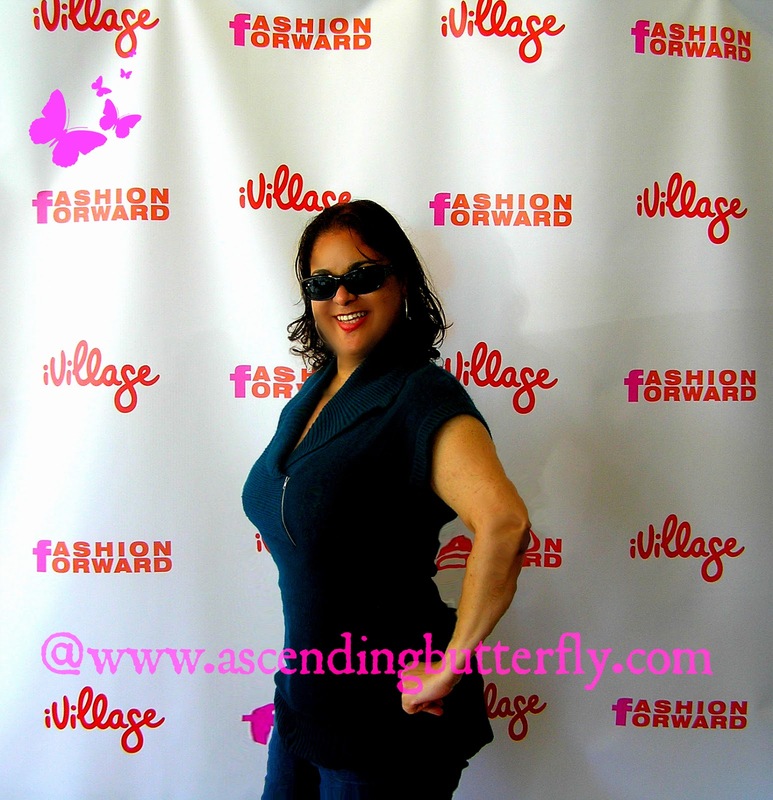 Being around other Bloggers helped to re-energize me and hearing such amazing speakers this year has me more motivated than ever to help grow the Ascending Butterfly community even bigger and better than ever. With the advent of a New Year very swiftly approaching, the Conferences I've attended have given me the impetus to truly change my goal setting and aim higher than I ever dreamed possible! 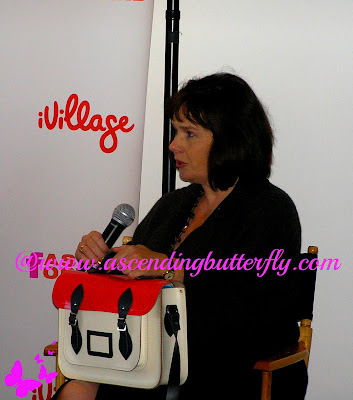 When I attended BlogHer in 2010, one of the co-founders, Elisa, urged us all to attend one panel that we had immediately crossed off our list, a panel we never planned on attending. I took that advice. 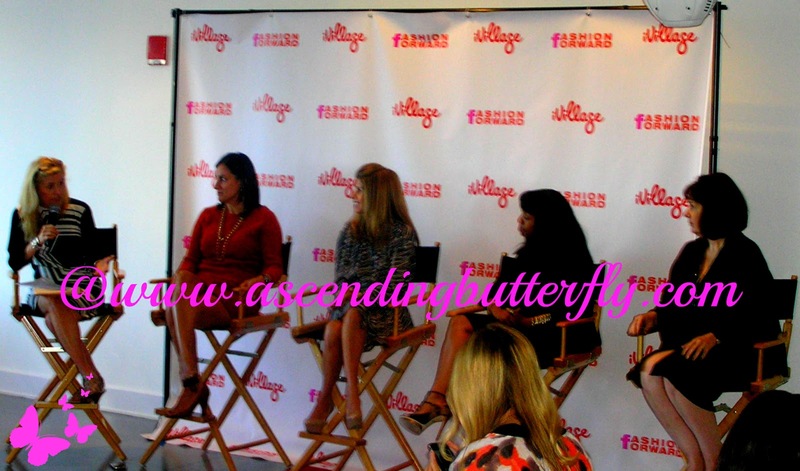 I attended a panel on Fashion Bloggers and PR firms and Brands playing nicer together. While the topic of bloggers working better with brands was of interest, I have never really niched myself, I'm not a mom so I'm not a Mom Blogger, but my readers are Moms so I keep track of trends and child friendly brands for them, I do cover Fashion as part of being an overall Lifestyle blogger, but I wasn't immediately convinced that that specific panel would be of great value. I took Elisa's advice and did go to that panel, it was by far the best I had attended that year. The Brands that were there had a true interest in learning HOW Bloggers wanted to be approached, how to perfect their pitches to us and vice versa. Everyone there really learned something. The questions were as insightful as the answers. 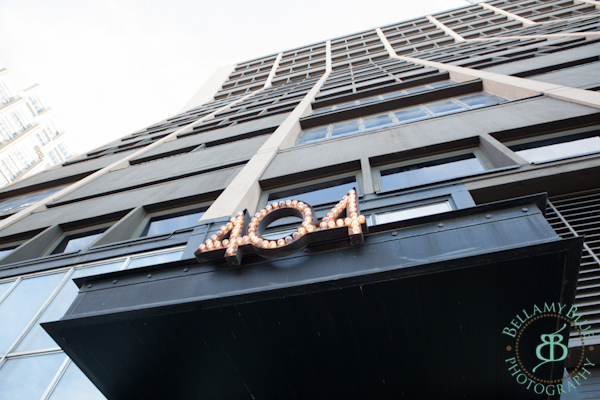 Skip ahead to 2012. I have to be incredibly selective right now about what events I attend. I'm not at 100% yet and I have to use my energies wisely. I received an invite from Nicole at MomTrends.com, and when I didn't answer in my hyper-responsive way she sent me a Twitter DM too (which I really appreciated, sometimes that's actually the fastest way to reach me nowadays!). I remembered just how awesome that Fashion Panel was that I attended during BlogHer and I decided to go! 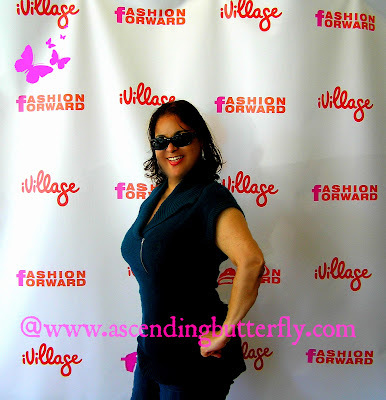 I don't think I had entirely un-packed my bags yet from the Niche Mommy Conference in New Orleans, but I when I read the panelist line up, and read up on the driving forces behind the conference, I knew I would learn a great deal! 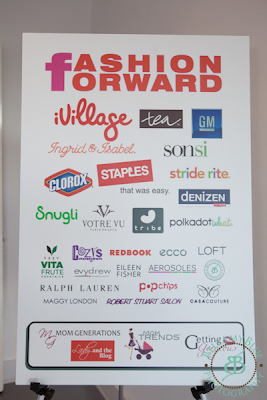 The Fashion Forward Conference is organized by the same team behind Getting Gorgeous. 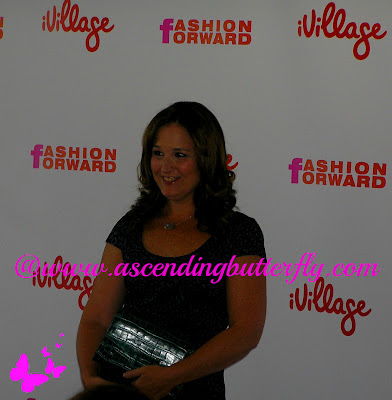 "The Fashion Forward Conference aims to to bring aspirational and attainable fashion and style to real moms – after all why should women lose their sense of style just because they became moms…"
Many of you had the chance to follow my tweets live and I posted a few twit pics with my iPod Touch, but I wanted to do a full recap as well and include some pictures from the event so you could truly feel like you were there with me! There was a phenomenal line up of panelists and I wanted to include not only pictures of them, but also my favorite quote from that speaker! These shots are a mix of my own as well as pro shots by Bellamy Blue used with permission. Any shot that does not contain the ascending butterfly watermark was taken by Bellamy Blue Photography. 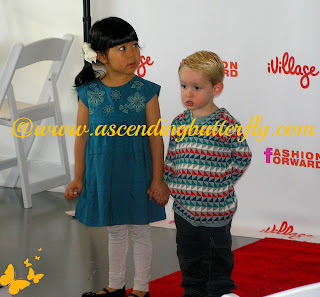 (Please reach out to them directly for permission to use any of their shots).From the venue, to the panelists, moderators, models, runway show for both adults AND Kids, I tried to share my highlights of it all. 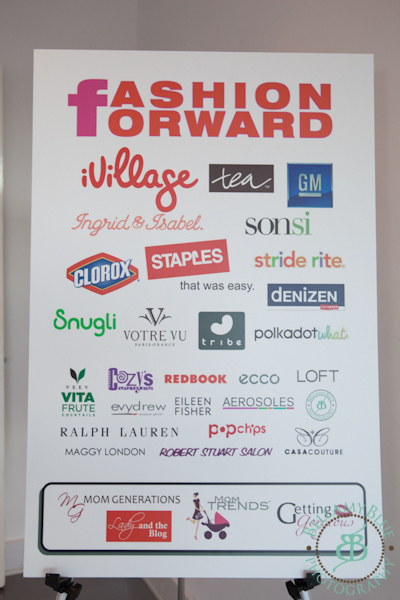 Welcome to Fashion Forward Conference 2012! 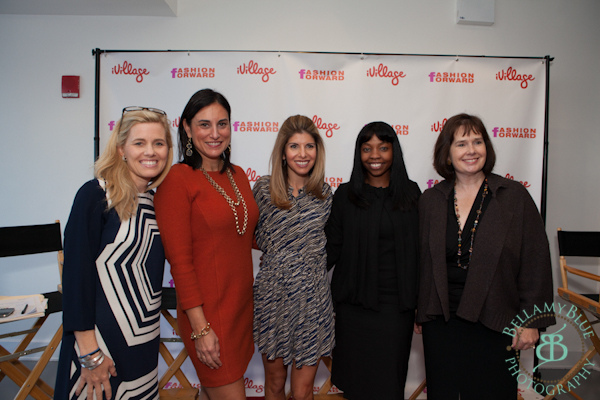 Very Left: Moderator for the panel, Kelly Wallace, Chief Correspondent iVillage, next to her Michelle Madhok of SheFinds who said "DON'T WORK FOR FREE!" and the audience cheered! 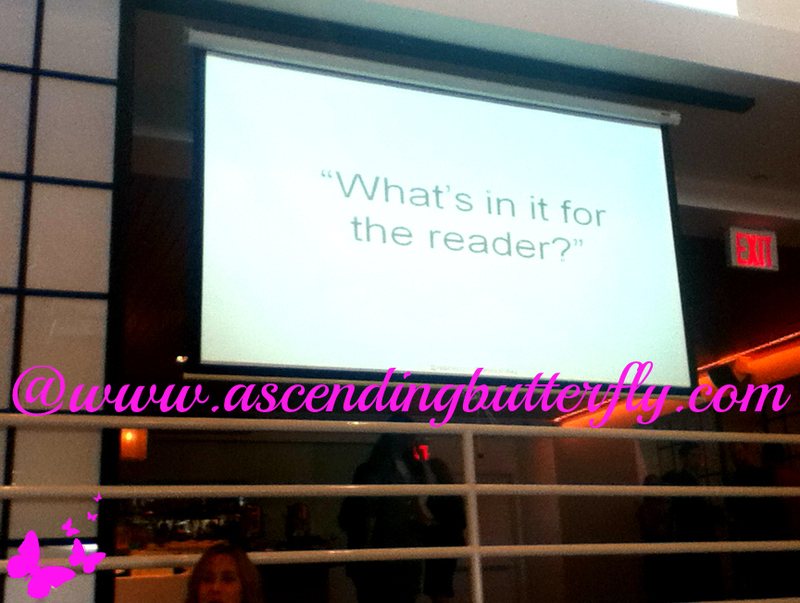 Jill asked the audience to ask themselves, 'What's in it for the reader?' Each time you write a post, what it is in it for the reader. It's a call to action as a writer to challenge yourself - read what you write, understand what benefits you are offering, and most importantly where you can improve? 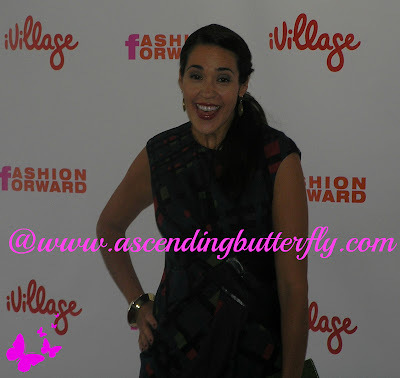 Andrew Sotomayor host of DIY Beautify said: "Practice Does NOT Make Perfect, It Makes Empowered!" - I think that was one of the most tweeted quotes that day! Favorite Quote: 'It's not just the numbers, it's deeper than that, the influence is far greater than a number." ~ Kendra-Bracken Ferguson, co-Founder, DBA. 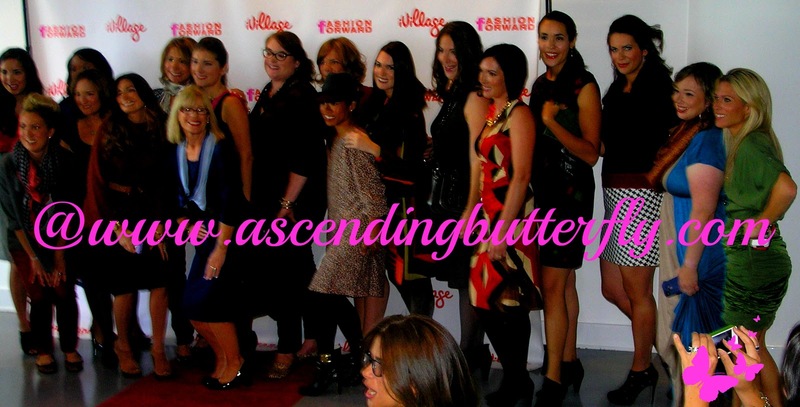 She is standing second in from far right, wearing all black. Handbag and Accessories Raffle to attendees, Left Nicole Feliciano, right holding up handbag is Pamela Peckerman. I hadn't seen Pamela in three years, we got to catch up briefly during our shared ride to the station! All the Models My Shot! All the Models Pro Shot! Time for the Infant/toddler and children's Fashion Show! Doesn't this baby look super comfy in her Snugli Baby Stroller? I love the dress on the right best, looks like a kimono dress and the color is just so bright!, Aren't they both adorable walking the red carpet holding hands! Notice the placement of a graphical tee under his plaid bigshirt? Loving the flutter shoulder top and her glittery hair, my niece would love this outfit! 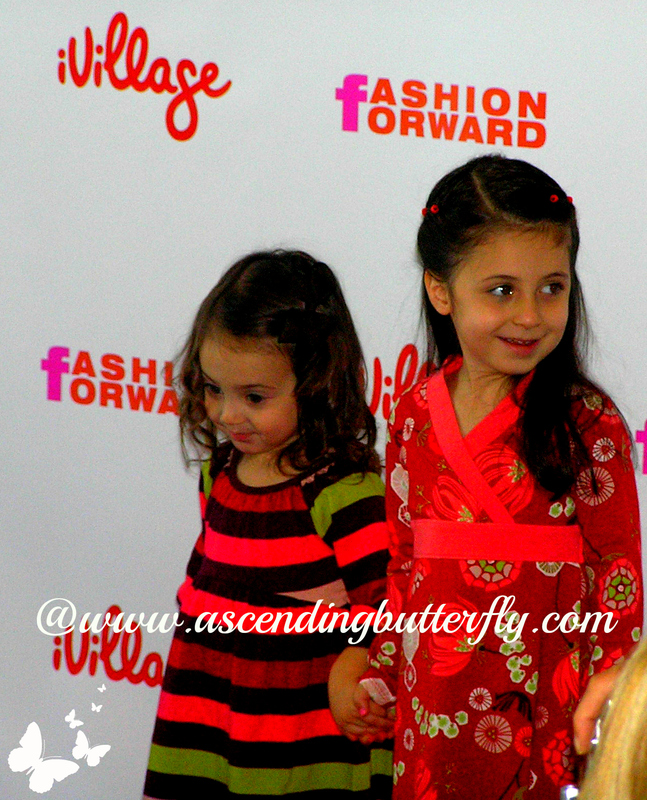 Love how the older one is leading the more shy one down the red carpet! 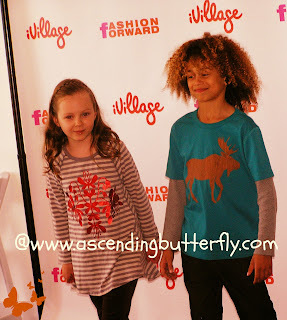 Both outfits are super cute, both models seemed shy! There are actually way more pictures taken that day so I will start a folder on Ascending Butterfly's PINTEREST page and post these and a few more there within the next few days! 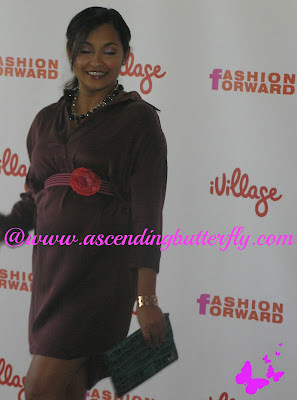 So if Fashion is Your Passion, whether you are new to the Fashion Scene or a mom who stays up on the latest trends in both maternity and new mom wear as well how to style yourself after your baby is born, Fashion Forward is definitely the Conference for YOU! 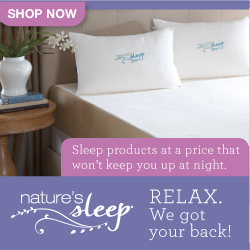 Check it out in 2013! I personally hope it remains in New York City! Use the hashtag #FashForward on twitter when talking about the conference so everyone can find your tweets! FTC Disclosure: I was invited to this conference as a member of the Digital Media, I was fed, and gift bags were provided to attendees, however all opinions expressed in this recap are 100% my own! No monetary compensation has been received to share my recap of the Fashion Forward Conference. tha's my son in the orange striped shirt! 2. You look awesome as well! Love this recap--packed with information and thanks for making the point that it wasn't just for moms. 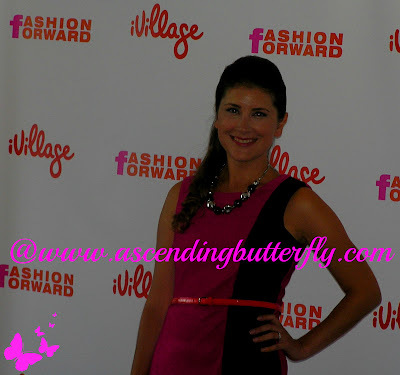 @Nicole Feliciano - Thanks so much for the invite! The speakers were so inspiring, and Jill totally NAILED it! 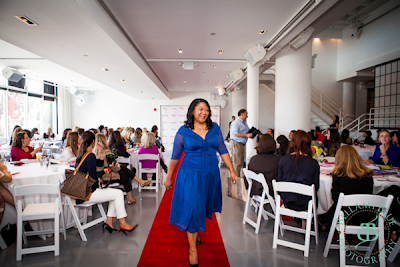 I've never been to a blogger or fashion conference, but I go to a writer's conference every year. 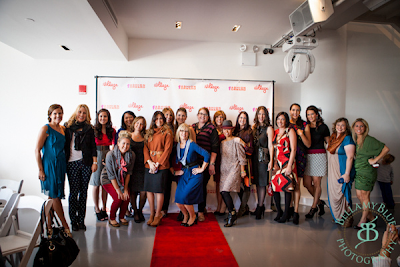 It would be fun to actually meet my bloggy friends. I only know one personally. I had roomed with her in college. @Joyce Lansky - My early career started in Sales, and Conferences were a very large part of our year, while they are totally insane, I love the energy and the opportunity to learn not only from panelists, but peers as well. Going to a variety of conferences is so valuable! Love your Blog, Would love to attend one of this someday!